Wild Mushrooms have been a part of the Boomkin’s toolkit for quite awhile now. 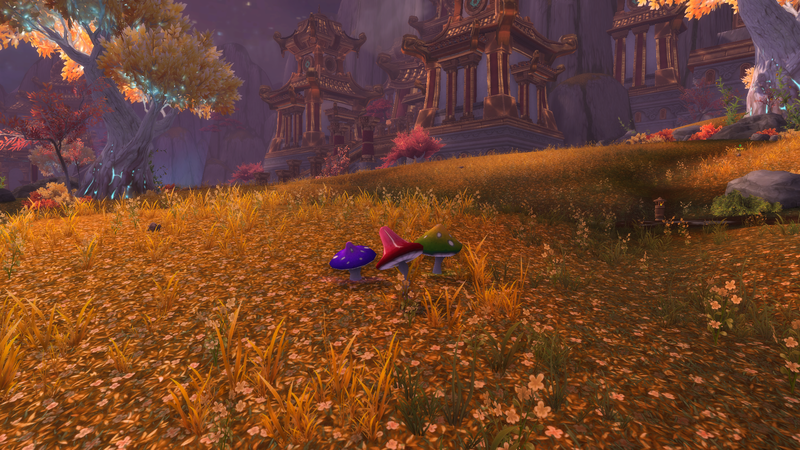 However, in Mists of Pandaria, Restoration gained their own version of the mushrooms. The idea behind them was to give Resto Druids a burst AoE heal, something that we have always lacked. At first, they were absolutely worthless. You would only place them before the pull and if there was literally nothing else to do, even DPSing the Boss was a higher priority. In patch 5.2 mushrooms were significantly buffed. Now, they would “absorb” 25% of your Rejuvenation’s overhealing (up to a cap of 33% of your total health, per mushroom). With 5.3 coming soon, Mushroom’s bloom radius and healing are also getting buffed. Clearly, our Mushrooms have been receiving some love the past few patches. So, what is wrong? There are a few things which are wrong with mushrooms, and the combination of these problems have made mushrooms very problematic. The first, and most obvious, issue with mushrooms is that they are not mobile. This is not a huge issue on encounters with predicable stack-and-heal points. However, the issue comes in on fights where there is a lot of movement and/or no predetermined stack point. Let’s look at a few examples. First, a fight with a ton of movement. Horridon is a good example of this. You are constantly moving around the large room, and even when you are stopped in front of a door, the melee stack and ranged are constantly moving due to void zones. This makes using mushrooms effectively nearly impossible in the first phase of this fight. For clarity, mushrooms are very strong in the final phase of Horridon when you stack for Dire Calls and War God Jalak. A typical response to this may be, “you aren’t supposed to be able to use mushrooms in every situation.” I understand this, mushroom’s niche is supposed to be burst AoE healing (an area where druids are extremely weak). Unfortunately, Horridon (on heroic) is an extremely “burst AoE healing” fight. The Dire Calls do a large amount of damage to the entire raid, and require burst AoE to survive. However, due to the lack of mobility of our mushrooms, we do not have the burst AoE. I’ll make this clear, I am not saying restoration druids are not viable for Horridon, because they are viable. I am presenting an example of a Burst AoE Healing fight where we cannot use our “primary” burst AoE heal. The second example will be a fight with no predetermined stack point (or no stacking at all). Two good examples are Tortos (depending on your strategy) and Twin Consorts. On these fights, most of the raid is going to be mostly spread out, but there is significant burst AoE healing to be done. First, Tortos. Once again, to be clear, I am not stating restoration druids are not viable for Tortos. They are actually very very good on Heroic Tortos. So, Tortos is essentially a burst AoE healing fight, with most damage occurring at the Quake Stomp and from the Rockfall following. Due to the nature of this fight, you cannot have anyone stack up during the rockfall, as everyone is running around avoiding falling spikes. Although we are pretty strong because of the high movement required (and we are mobile healers) and that HoTs are so good on heroic, we still lack a strong burst AoE due to mushroom’s lack of strong usage. They can be used on the fight, and I do use them, but I think the quality of life can be vastly improved. I also mentioned Twin Consorts, this is especially true because (on normal) the burst AoE damage comes from the stars that the boss sends out. This only hits ranged, and ranged must be spread. Due to this, you can only lay mushrooms under melee (which is rarely worth it on this fight). This problem is closely related to the one above. Mushrooms take time to fully charge up during a fight with regular damage, unless you are intentionally dumping a lot of mana to fill them quickly. However, in that case it is typically not worth using all that mana to grow the mushrooms, and healing normally will usually yield better results. Mushrooms are best used by planting them at a predetermined stack point for AoE damage in the future, and letting them grow to full capacity naturally. Anyways, the charge up time by itself is not that big of a problem. Sure it makes our burst AoE tool a bit more difficult to fully utilize compared to other healers, but I am fine with that. In fact, I think it is fun to have to lay them down early, and make sure they are fully grown by the time they are needed. The issue comes in when this “handicap” of charge up time is coupled with the lack of mobility of the mushrooms. Let’s say that you plant your mushrooms at a place you suspect many people will be stacked during big damage. However, something happens and the stack point needs to be changed. Suddenly, you have no Burst AoE healing solution just because of a minor positioning change. This rigidness of the ability’s mechanic makes it very clunky and it cannot adapt to situations. Probably the least troublesome of the problems with mushrooms, but still annoying in many situations. Due to the 3 GCDs required to fully plant your mushrooms, you need a period of low damage and healing to take the time to put them down. Nearly every fight does have this, but some do not. Fights with constant damage mean that (most of the time) it is not worth the 3 GCDs spent, which could be used on Rejuv/Wild Growth/Swiftmend/Etc. This is less of a problem that needs immediately fixing, but more of a quality of life change. If you do a quick search, you can probably find various proposed solutions for the mushroom problem. I have read many of these, and have come up with a few potential fixes. This would be my first choice if I could decide how to redesign mushrooms. Mushrooms would no longer be placed on the ground, but rather on players, signified by a buff. Blizzard can have it be limited to just one at a time out on any player, or three, keeping with the current mechanic. Then the mushroom “buff” on the player would grow the same way the current mushrooms do. Then, when you bloom your mushrooms they will heal the player with the mushroom and everyone in 10 yards. The improves the quality of life and viability of mushrooms. Now, you no longer need to arbitrarily guess where mushrooms may be useful (in particular on fights where there isnt a designated stack point), because it will always be with that player. As long as that player is not off in the middle of nowhere, the mushrooms will always be useful. I really like this scenario because it removes the very annoying situation where the stack point needs to shift slightly, just out of range of your mushrooms that you have taken time to grow, due to mechanics. With this change, if the stack point needs to shift, the mushrooms move along with it. In addition, you can specifically target groups doing particular mechanics with this. If you know raid group 1&3, for example, are going to take a bunch of AoE stacked up damage, you throw mushrooms down on three players in those two groups. Also, for clarification, there still wouldn’t be a cooldown on planting mushrooms, and the 3 mushroom limit could work the same. So, if you cast a fourth mushroom on someone, the first one you cast will disappear. There are also some minor quality of life changes that can be easily applied to mushrooms, without completely reworking them. First, allow them to be replanted somewhere without losing all of the overheal buff they have gotten. An easy way to do this is to shift the healing buff from the mushrooms, to the druid. So you can replant the mushrooms, and the druid still has the overhealing buff. Then, once you bloom any mushrooms, that buff is consumed. 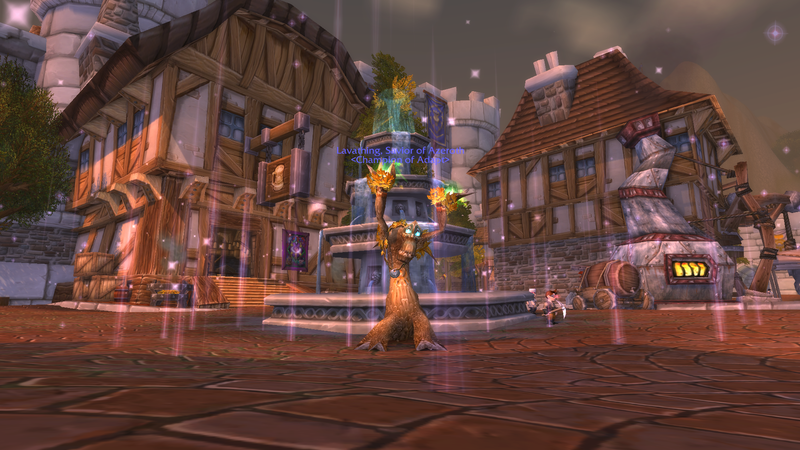 Also, it would be interesting to see the GCD removed from planting mushrooms. In my opinion, it would make more sense to have the GCD when the mushrooms are bloomed (currently only GCD on plants, not bloom). This reduces the GCD requirement from 3 to 1. In addition, it back loads the GCD. Basically, you get a GCD when you actually do the heal, not the preparation. Definitely a more natural feel. Mushrooms have come a long way from what they were in patch 5.0, but they still have a long way to go. Sure, they are definitely very useful on a number of encounters this tier; they are even a large part of your healing on a number of encounters. However, the mechanics of the ability still feel clunky and not natural to the flow of healing. If you have any comments, questions, etc. please comment below or tweet us @Healcraft! Happy Healing!